Gateforth Hall was built in 1812 as a hunting lodge by Sir Humphrey Brooke Osbaldeston, at one-time Sheriff of York. He used it as a meet for the Bramham Moor Hunt. The Hall had 2005 acres of land surrounding it. It later became a T.B.Hospital which was owned by Leeds Area Health Authority. In 1978 it was bought by auction by Mr. C. Henry and was converted back into a Hall. The Hall has 60 rooms one of which is 10 degrees colder than any other room and yet it has 3 inside walls. This room is where the legendary Grey Lady slept who is the ghost of the hall. It is a Grade II Listed Building and is currently a private residence. Other notable listed buildings on the former estate include a Ha Ha and a Coach House. St. Mary’s Church, Gateforth was built of grey-white brick and stone next to Church Lodge, on the south facing side of the Hough, close to the Hall. 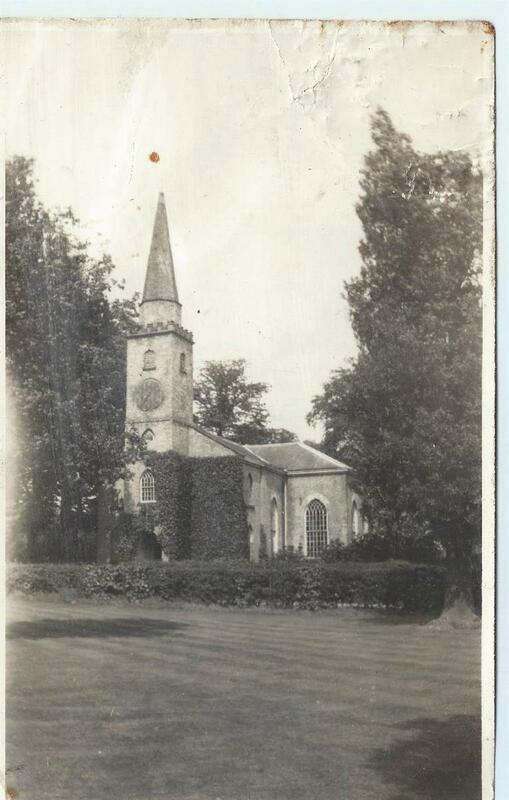 It cost Humphrey Osbaldeston £5,000 to build the Chapel. The Chapel was almost cross-shaped, with a small chancel at the east end and a tower at the west end where the main door was. The tower was a smaller replica of the octagon tower and spire at Brayton, only the octagon was of brick and had battlements. Inside the chapel it was white plastered and had a set of three identical windows along the south and north walls of the name, the windows having leaded lights. The pulpit was a most impressive three-decker one, for taking the service from one level, the lectern on the next, and the sermon from the top. The stone in the building came from Monk Fryston and was drawn on oxen carts to Gateforth. The church also had an old barrel organ, together with a harmonium. Under the Chapel near to where the pulpit was, there is the Osbaldeston Vault. Buried there are – Catherine Osbaldeston, Humphrey Osbaldeston, Theodosis Brooke, Humphrey Brooke Firman and Brooke Firman, Lt Colonel. The vault is all that remains on the site of the former church and it was sealed after the demolition in 1948. 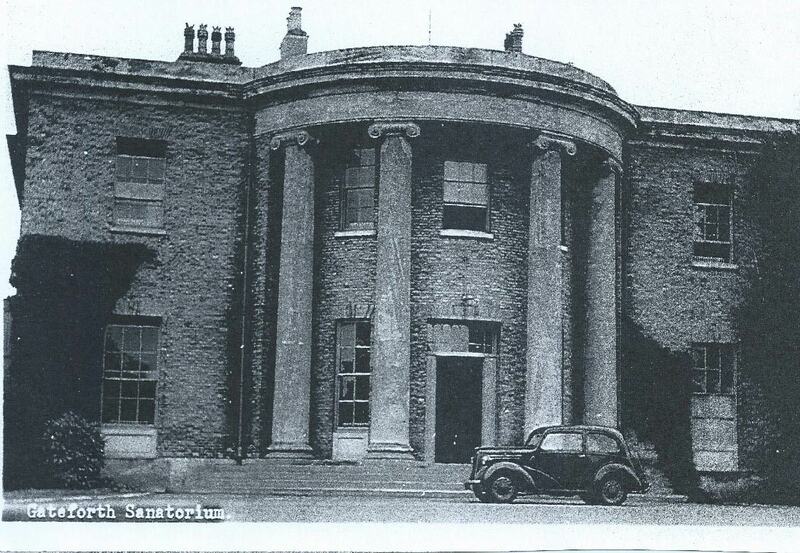 The church fell into disrepair after the Hall became a Sanatorium under Leeds Corporation. Just before its demolition, quite a lot of its contents went to the Corporation. The organ went to St. James Hospital in Leeds. The barrel organ that had been in the gallery of the Church was given to Leeds City Museum. One of the two alters is now the main alter in Hambleton, the pulpit went to St. James Hospital, Leeds. The cupboards are in Hambleton Church along with the Communion plated chalice. 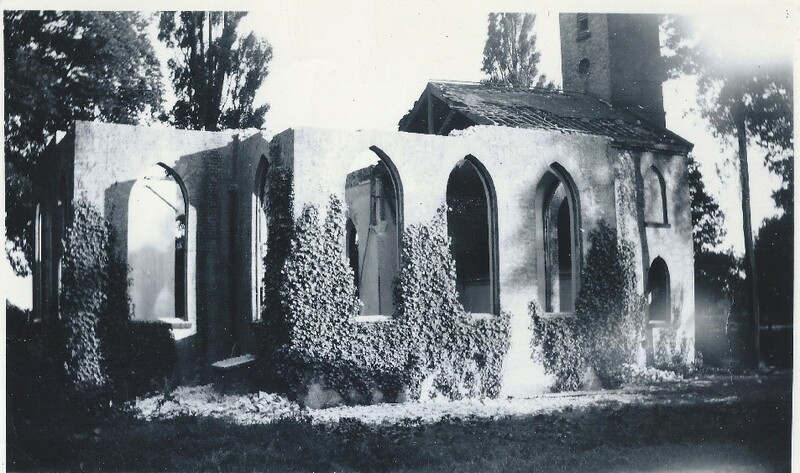 After the close of the Village School a Mission Room was formed therein which the community used for recreational meetings and Church Services until the Church Authority sold it in 1977.